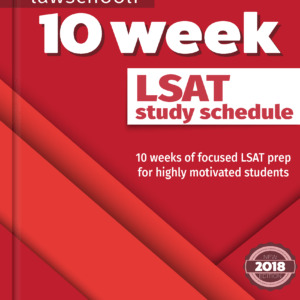 What can I bring to the LSAT on test day? 1. 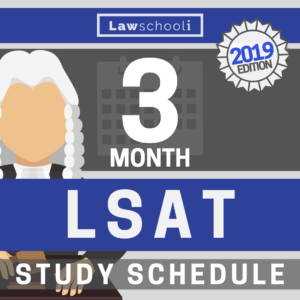 Remember that under-performing on the LSAT once (or even twice) isn’t a huge deal anymore. It used to be that all law schools averaged your LSAT scores when they considered your application. Now, almost without exception, law schools don’t put significant weight on any lower LSAT scores you may have (even Harvard stopped averaging LSAT scores). Don’t think you are going to close out your chances of going to a great school if you do badly on this test. It just doesn’t work that way nowadays. I could tell you why it’s like this, but don’t worry about that. Just realize that this one test isn’t your last shot, and that will take the stress off. 2. You won’t be surprised by the content of the test. It’s going to be exactly the same kind of problems that you have practiced over and over again during your prep. Don’t freak yourself out thinking otherwise. Trust me, it’s going to feel a lot like any other practice test when you get in and get going on the problems. 3. If you have prepped hard, then by and large, you’ve done what you can do by now. If you followed our advice and prepped hard, there is nothing to be gained from worrying that you didn’t do enough or didn’t do exactly the right things. Either your practice test average is in an acceptable range or it’s not. If things have been going well, then just chill out, stick to your prep schedule, and let the chips fall where they may. Don’t go into overdrive studying in the last week. Maintain your current study habits and routine. A crazy last-ditch effort is more likely to hurt rather than help. If you aren’t hitting scores you would be happy with on your practice tests, then you have some thinking to do: you aren’t at all likely to do significantly better than your practice average on test day. You are likely better off delaying the test and making sure you prep right the next time. 4. While test day drops and bumps do happen, the overwhelming likelihood is that your actual score will be somewhere close to your practice average. If you’ve been doing lots of fully simulated practice tests using recent exams, then that will have given you are very accurate idea of what you are likely to score on test day. 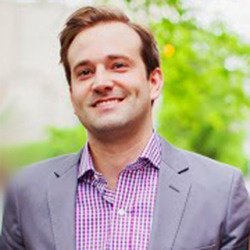 The LSAT is designed so that you will score very similarly on any given test. Yes, there are occasional outliers, but all the practice you have done should minimize the chances of that. If you have a big test day score drop, you can retake and that will be fine. However, it’s not likely you will. You are most likely going to hit right around your practice average. I know you aren’t competing directly against other LSATers (the test isn’t curved), but if you were, you’d be in great. That’s because you’ve prepped adequately and you know this test inside and out. Yes, it’s annoying that you have to crowd into a room with a bunch of scared people to actually take the test. Wouldn’t it better to just send law schools all your practice tests? Sadly, it doesn’t work that way. Just go in and take the test. It’ll be over and done with soon enough. I hope something here helps a little. If you need any advice or encouragement related to the upcoming exam, feel free to write to us in the comments. We are more than happy to help with a decision whether to postpone taking the LSAT or not. I am taking it in 10 days and am pt-ing from 160-162 on my last 5. My overall range has been 160-168, with about half being 160s andf the other half 161,162 (2),164, 168. I got the 164 and 168 in the summer when I was studying several hours a day. I am a teacher and as soon as school started back up and I was working 8-4 every day, sometimes 7-6 even, my scores immediately dropped to 160 (5 times in a row) then 162. The lower scores and work starting back up also coincided with me switching to PTs 65 and newer, so some of the drop was the difficulty in LR and the changes in RC. 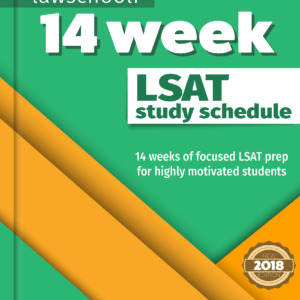 This will be my first LSAT, so I am wondering if I should sit for this and just keep studying all year (a few hours a week) then ramp things up in the summer and sit again next year. I could save some money and literally take the month of next September or October to do nothing but study and I would still have all summer. My goal is a full ride at UNC or a hefty Scholarship at Duke. I KNOW I can get a 170 if I had the time, and could probably get as high as anyone with the right materials/strategy. Could you please give me a little guidance.